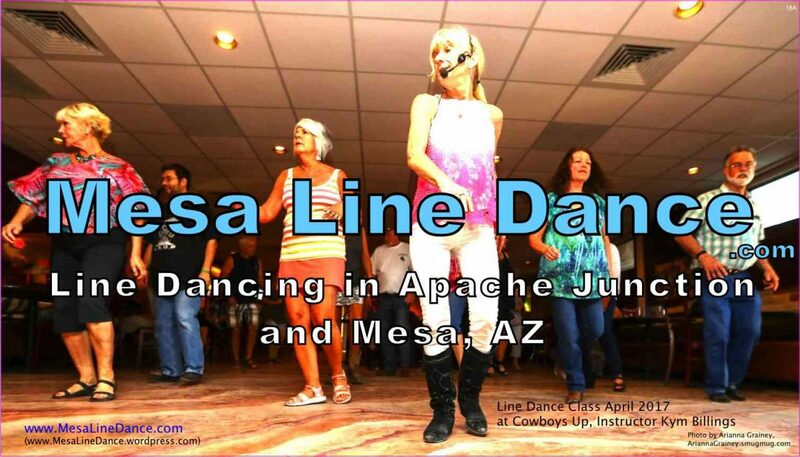 There is a more COMPLETE list of Mesa and Phoenix-area line dance locations shown in the World Line Dance Newsletter at WorldLineDanceNewsletter.com/wtd/arizona.html . There are many more line dance classes in the various communities, that are mostly “residents only”, that won’t allow me to list them (lack of space). Most of these classes run approx. Nov. thru April; see instructors’ websites for schedules. See below “Instructor Info” and “Facilities Info” sections for more details about each. See MAP at bottom of page for relative locations. MORE line dance instructors (not on this web page’s schedule) are listed below in Section E.
This section gives the addresses of the facilities, listed on the above schedule. Note: The SanTan center is at the SW corner of Guadalupe and Springwood, and is identified on Google maps. But the “dot” on Google maps displays a little bit north of the actual location. Note also that Dee Dee’s flyer has an old address on it (2233). Note: Instructors Kym Billings, Dee Dee Dougherty-Lottie, and Esther Sparr are listed ABOVE in Section B ‘Instructors’ (because they are listed on this page’s schedule). The instructors listed below, are currently NOT listed on this page’s schedule. Fun Feet Line Dance Community, facebook.com/groups/116389878710490 , this group seems to include several of the local Mesa-area instructors. Please see our other website PhxDance.com for list of Phoenix-area dance studios for COUPLES dancing. The below map shows the 6 dance locations listed above. Note that Location #7 (Leisure World) has not yet been added. Note that you can click on the little “expand” icon in the upper right corner of the map, to open the map FULL SIZE on a new page.